At the Sullivan Law Office, we interview a myriad of prospective disability clients weekly. While many of them are anxious to discuss their reasons for believing they are entitled to benefits, our lawyers also like to focus on any relevant personal facts or circumstances that may provide reasons or grounds for the denial of benefits. At times, these reasons may be within the control of the applicant and therefore avoided to prevent any such denial. This is one of the main reasons why the representation of an experienced disability attorney is vital to the initial application process. 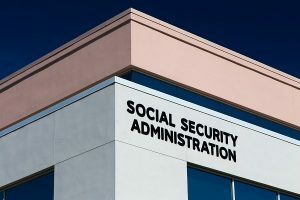 This is the first part of a blog on reasons why the SSA denies an applicant Social Security benefits. Please stay tuned for its continuation! Applicants that have income above the limit where it is considered “substantial gainful activity” (SGA), earn too much income to qualify for Social Security Disability Insurance (SSDI) benefits. There is a difference between earned and unearned income, and the threshholds are different for blind versus non-blind individuals. For example, for a non-blind, non self-employed person, the SGA threshold for 2016 is $1130.00 per month. Make that on a consistent basis and the case is in jeopardy on the earnings alone. Be aware also that there are additional considerations for SSI claims. Putting aside the question as to whether you are working and earning too much to even be disabled, the SSI monthly benefit may be reduced by your earnings! The SSI program has income and asset limitations. This whole situation gets enormously complex for self-employer persons. Then, there are the techniques we use to get past earnings issues: The 12 month rule, the so-called Trial Work regulations, The Ruling that creates the 90 day and 180 days rules…. Finally, there can even be sheltered work. The point is, this is not a simple inquiry. Talk to an experienced attorney. In order to qualify for SSDI or SSI benefits, the Social Security Administration (SSA) must find that any impairment is severe, and that the impairment(s) are expected to last at least 12 months or result in death. The word severe is a legal term of art. The medical condition must cause a limitation that adversely affects the applicant’s ability to perform basic work activity. This is the hallmark of a severe impairment. For example, an asthmatic may require a clean air work environment. This is a non-exertional limitation, but it does qualify the asthma as severe under the Regulations. In many cases, surgeries are successful, or medical problems are eventually controlled with aggressive treatment. Thusly, many SSDI and SSI claims, despite the claimant having significant health problems fail to meet the 12 month requirement of the law. We have even seen cases where doctors released patients to work at about 360 days, and yes, those cases can fail the 12 month durational requirement embodied in the law. One of the best ways to improve your chances of avoiding the denial of benefits is by retaining the services of a qualified Kentucky Social Security Disability attorney. Working with an attorney that is experienced in Social Security Disability cases ensures that you have the best chance of initially filing a successful disability application. Contact Sullivan Law Office today. We offer free consultations, so you have absolutely nothing to lose! We look forward to hearing from you. Call 888-587-0228 or visit us online.